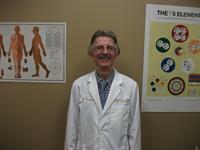 Directory > Providers > Alternative Medicine > Acupuncturist > IL > Chicago > Donald Reed, D.C. If you are a patient frustrated with having to endure chronic back or neck pain, if you've been hurt in an accident, or if you are looking to enhance your feeling of well-being and comfort in your own skin, I believe I can help you. My name is Dr. Donald Reed, and for over 25 years, I've been treating patients with conditions just like yours, helping them to live richer, better lives. I believe that I can help you, too. While I am a (retired) Doctor of Chiropractic, I currently focus on my extensive Acupuncture and alternative medicine training, with specializations in clean needle and auriculotherapeutic techniques. Thanks to the synergistic blend of specialties practiced in our clinic, and our network of professional relationships outside of it, we can remove much of the guesswork and run-around. Patients usually walk out of our office with a detailed healthcare action plan in just two visits. Services Because I know that you likely have questions about your health, I'm pleased to offer a free initial consultation to all new patients. If you aren't sure if chiropractic or acupuncture can help you, I invite you to find out for yourself in a no-risk environment. I also offer acupuncture treatment for a number of conditions that do not normally respond to chiropractic care, such as smoking cessation treatments for the smoker who's trying to quit. I practice both clean-needle (traditional) Chinese acupuncture, as well as auriculotherapy, which blends the old techniques with modern therapeutic tools to provide a more potent effect. If you've recently experienced a traumatic injury in a car accident or at work, we will tailor a plan to help get you back on your feet. In the acute stage, we will use treatments like Interferential Frequency Stimulation and Transcutaneous ENS to provide lasting non-narcotic pain relief, and eliminate muscle spasm. We will be there every step of the way, providing exercise regimens designed to limit the chance of re-injury, and Synergy physical therapy to restore strength and a full range of motion. Our mission will be to get you back to your optimum health, and I will be glad to work with you to reach it. Does this chiropractor offer lifestyle and nutritional advice to further your recovery? No, I've never been given any advice!